The tallest monument in The Royal Parks standing at 138ft has undergone a £100,000 transformation to help turn back the clock almost 200 years. The Duke of York Column, situated on The Mall, St James's Park is a monument to Prince Frederick, Duke of York and Albany, the Commander in Chief of the British Army during the French Revolutionary wars. It is thought that Prince Frederick may have been the 'Grand Old Duke of York' in the much loved nursery rhyme. The bronze statue had developed a green pigment due to weathering (the same weathering that gives the Statue of Liberty its distinctive green colour). To reverse the oxidisation process, the 14ft bronze statue was repatinated, rewaxed and buffed. The 124ft stone column made from pink and grey Aberdeen granite, has been cleaned. Erected back in 1834 the monument cost £15,760 which was raised by stopping one day's pay from every serving soldier in the late Duke's army. 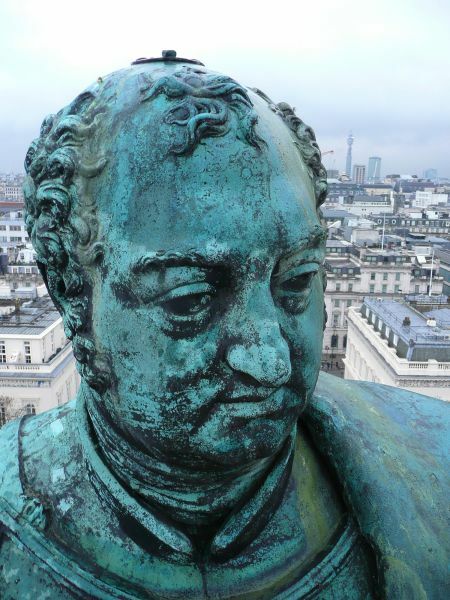 The statue was designed by Sir Richard Westmacott and the column by Benjamin Wyatt. "The Royal Parks are responsible for the maintenance of 140 monuments across its parks including the Queen Victoria Memorial in St James's Park and the Albert Memorial in Kensington Gardens. I am delighted that the Duke of York Column has been restored to its former glory, and that the intricate detail of the statue is once again apparent." "The Royal Parks is very diligent in the care of their historic assets. 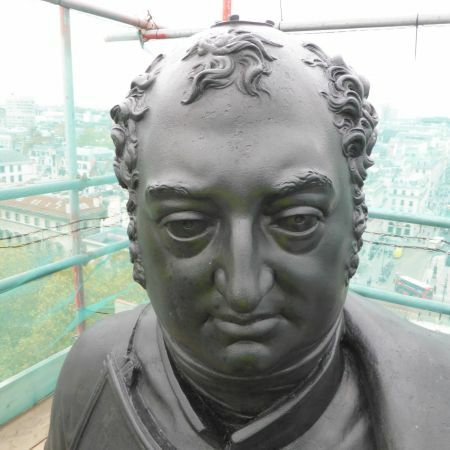 The Duke of York is one of their most prominent structures and GHK have enjoyed assisting them with conservation repairs that will maintain the fabric for the foreseeable future."